The SPM IndyCar outfit is relatively small compared to its European counterparts, with just under 60 crew members working on two cars. This, coupled with a hectic schedule, puts a strain on the team. Phillips was hired by SPM in 2015 from David Brabham’s crowdfunded project, and joined as general manager with the task of overseeing the race team. With shrewd managerial decisions, which included the hiring of three-time Audi Le Mans-winning engineer Leena Gade, Phillips has masterminded a competitive 2018 Indycar. Phillips explains what he looks for in a candidate for a job. “I think someone [who] has a good grounding and some experience gained in a lower championship which has been to the same circuits as IndyCar, is definitely in a better position to transition into IndyCar,” he says. 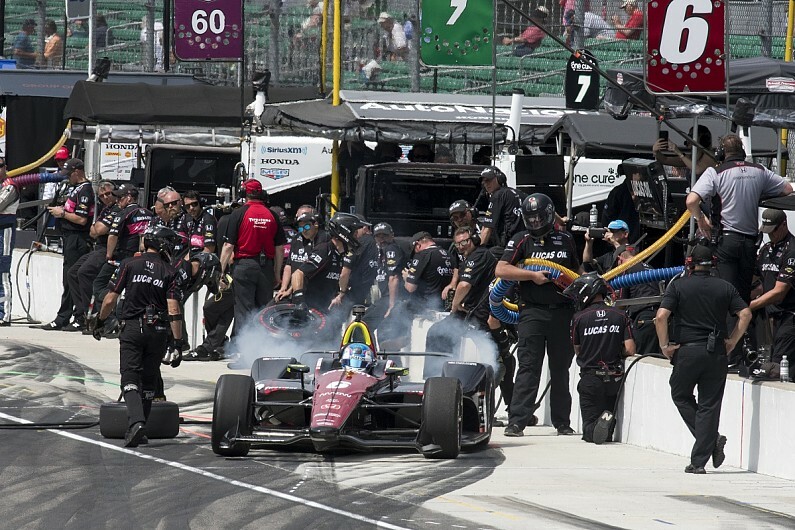 Working in feeder categories like Indy Lights and US F2000 offers prospective IndyCar engineers the opportunity to get a first step on the ladder. For those without industry experience, Phillips suggests a strong educational background and a hunger to succeed in IndyCar are musts. “For someone who has no previous experience in the paddock, I think education is an important tool, however, tenacity, work ethic and the will to learn are equally as important,” he says. “Primarily you look for people who have been successful, and you look for people who have the ability to think outside of the box. “It’s also important to find people who want to push themselves, as well as their fellow team members, forward. IndyCar teams face stiff competition from their opposite numbers in NASCAR, Formula 1, the World Rally Championship and World Endurance Championship – who are all looking for similar candidates. But IndyCar has its own unique challenges that can attract engineers and designers from all around the world. “Not many other top-line championships have back-to-back-to-back race events, and with that, it brings its own challenges; it aligns with each car configuration for each event,” says Phillips. “IndyCar is a very open and fan-friendly community.